Do you want what's funny? I didn't even LIKE fresh tomatoes until I was almost 30 years old. I avoided them at all costs, and now I can't get enough of them. 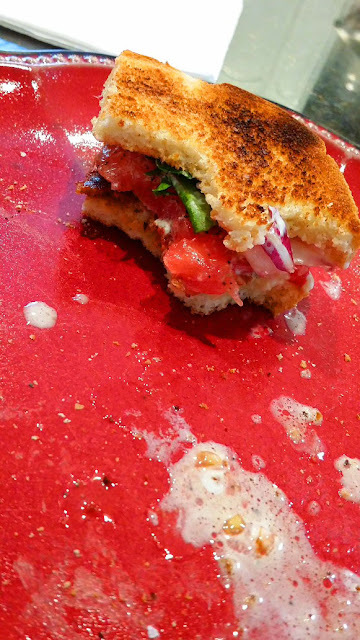 This past weekend, I made the holy grail of all fresh tomato meals (with the exception of tomato caprese salad) and used only the best-of-the-best of my homegrown heirlooms. 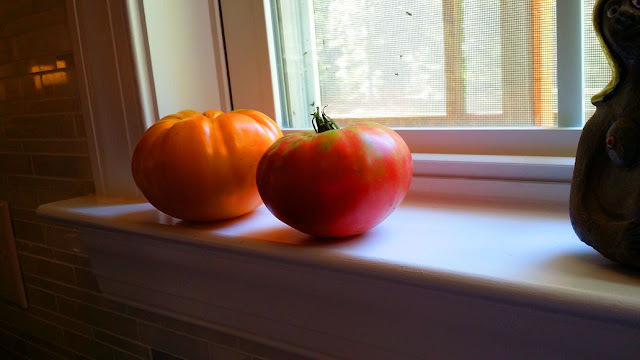 IMO, Brandywine's are the sublime epitome of what a tomato should taste like: Nice firm fleshy texture, rich tomato flavor, with just a touch of sweetness and the perfect acidity. They are my ultimate favorites. I grew these tomatoes from seed, starting in March. They ripen later in the season, after my hybrids that I use for canning, and we eat every last one of them as the star attraction. 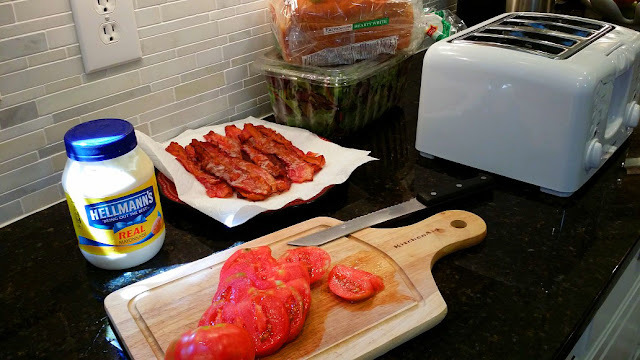 A BLT made with homegrown, heirloom tomatoes, to me, is a gourmet meal.